A woman is arrested by police while protesting the Staten Island, New York grand jury's decision not to indict a police officer involved in the chokehold death of Eric Garner in July on December 5, 2014 in New York City. NEW YORK - Thousands of demonstrators marched in major cities across the United States on Friday in a fresh wave of protest against the killing of unarmed black men by white police officers. 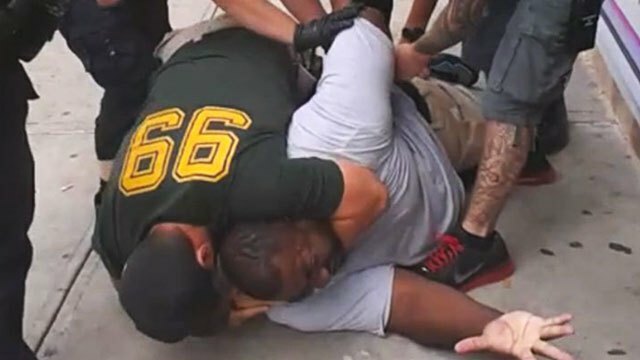 The latest rallies in a fortnight of growing discontent took place as a New York prosecutor said he would impanel a grand jury to consider charges in one of the cases that has again brought to the fore the distrust felt by many African Americans towards the police. Akai Gurley, 28, a father of a young daughter, was shot dead when a police officer opened fire in a dimly lit staircase at a Brooklyn apartment building as he walked with his girlfriend late on November 20. 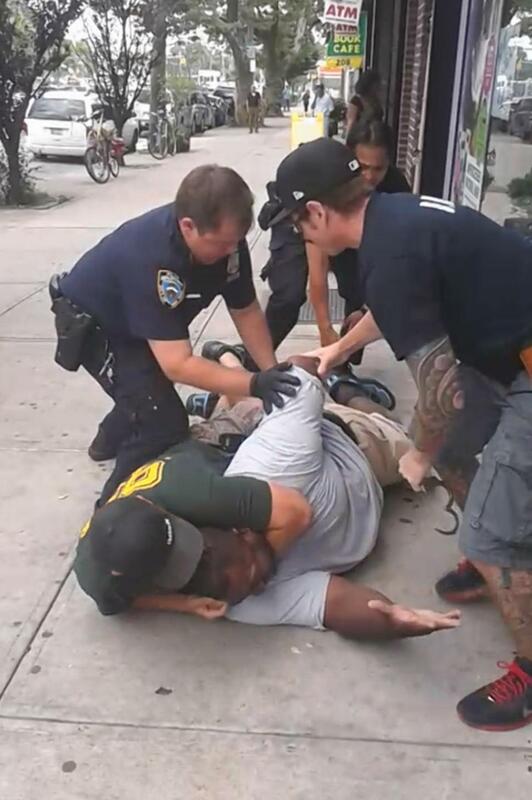 Brooklyn District Attorney Ken Thompson said he would present all the evidence for a grand jury to decide whether charges should be brought. "It is important to get to the bottom of what happened," he said, giving no timetable for the jury to be appointed, nor for a decision to be reached. "I pledge to conduct a full and fair investigation and to give the grand jury all of the information necessary to do its job. That information is still being gathered," Thompson said. 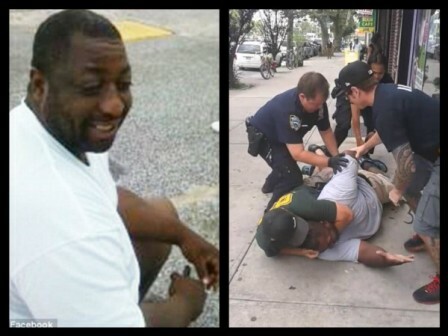 New York's police commissioner has said Gurley was a totally innocent victim and the family, who gathered for a private wake on Friday night ahead of the funeral on Saturday, has demanded justice. Protesters hit the streets in recent days after grand juries declined to press charges against white officers responsible for the August 9 shooting death of unarmed 18-year-old Michael Brown in Ferguson, Missouri, and the July 17 chokehold death of black father-of-six Eric Garner in New York. Several hundred protesters again staged rallies in New York on a rainy Friday night, one in Columbus Circle that moved to Fifth Avenue, and the second walking up Broadway from the south. Similar protests were reported elsewhere across the United States including in Miami, Chicago, Boston, New Orleans and Washington, DC. It was the first time the demonstrations demanding justice had taken to the streets in Miami, where protesters blocked traffic, while in the US capital some people staged a "die-in" on the roads. 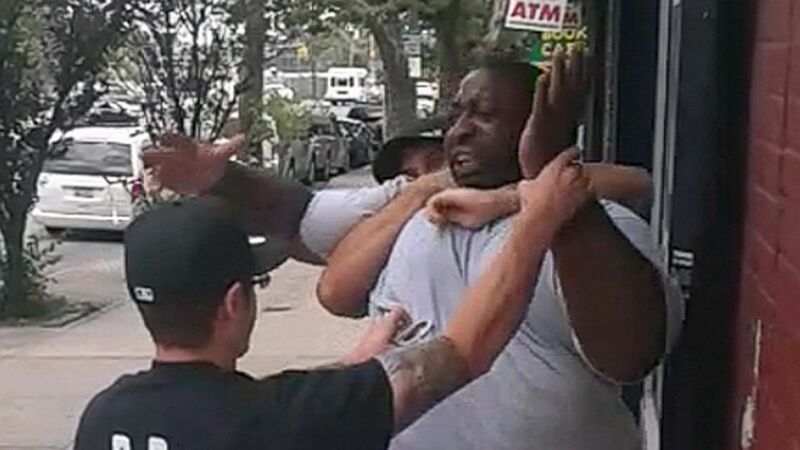 Eric Garner, a 43-year-old father of six, was illegally selling cigarettes on July 17 when police officers tackled him and put him in a chokehold. 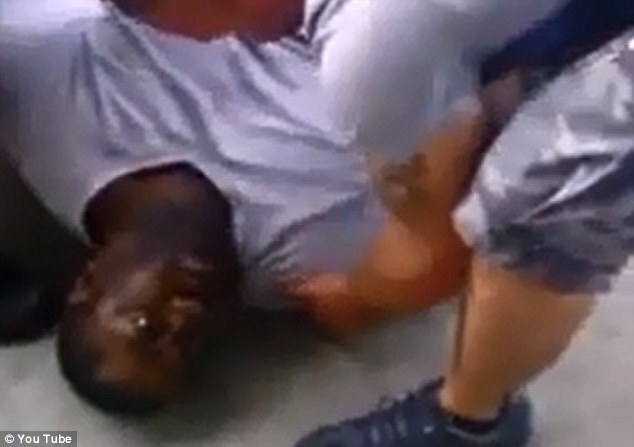 Police said he had been resisting arrest. 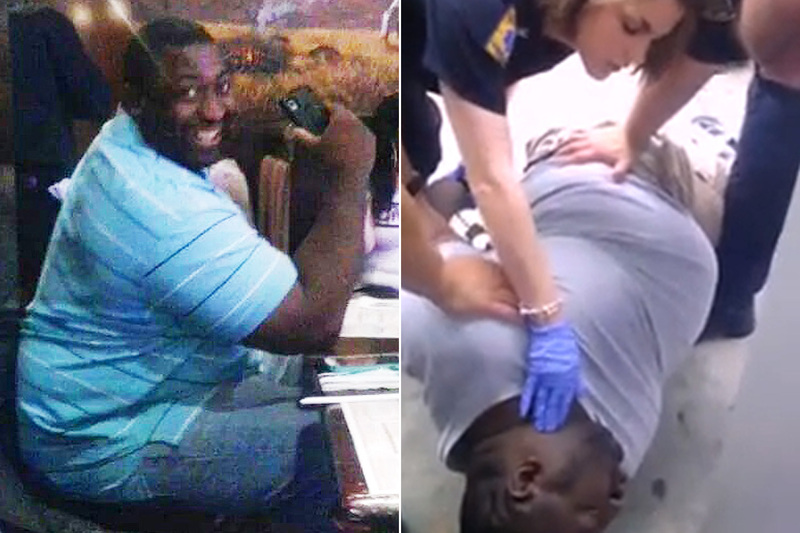 The city's medical examiner ruled the death a homicide. 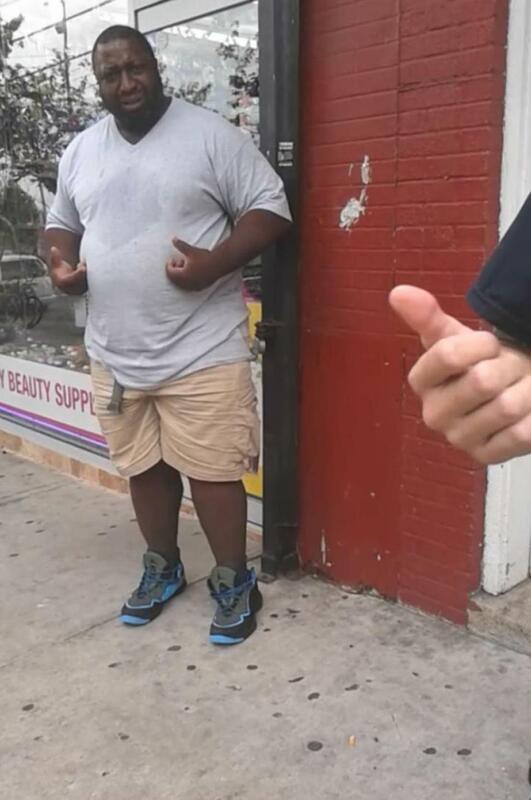 In footage taken of the arrest, the 350 pound asthmatic Garner is seen being approached by two plain clothes officers and questioned about alleged selling of untaxed cigarettes. 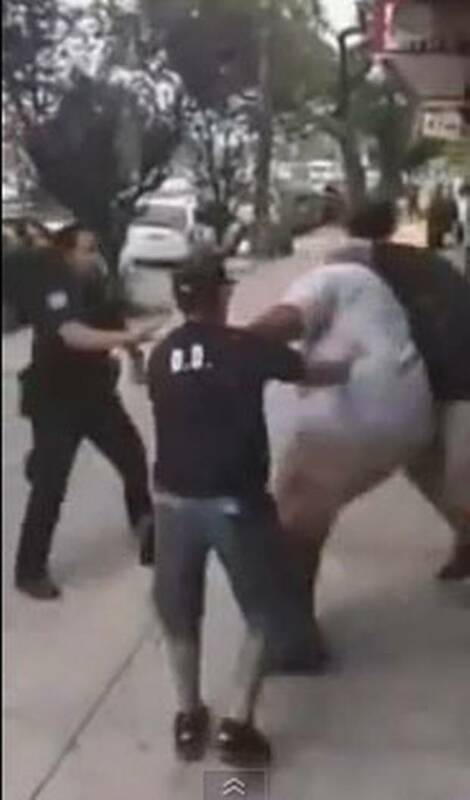 Garner says he didn't do anything and that he was "just minding his own business", before the police ask him to give them his hands so that he can be handcuffed. 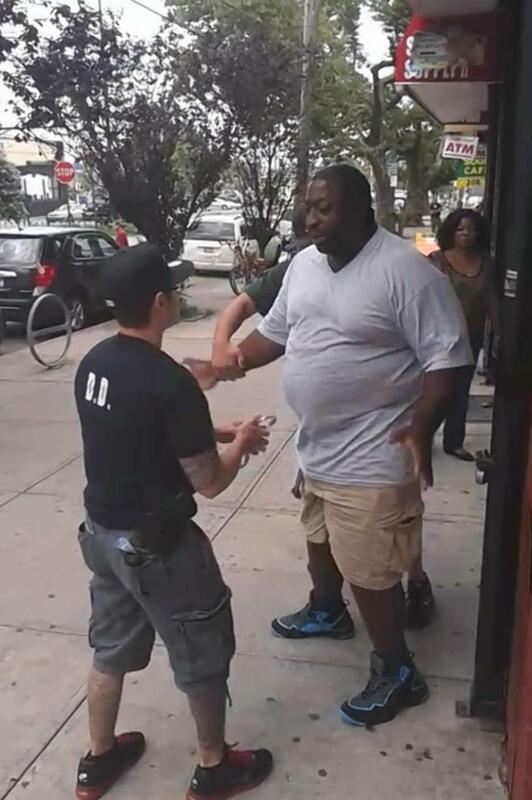 When Garner refuses, one of the officers tries to forcibly take his hand. 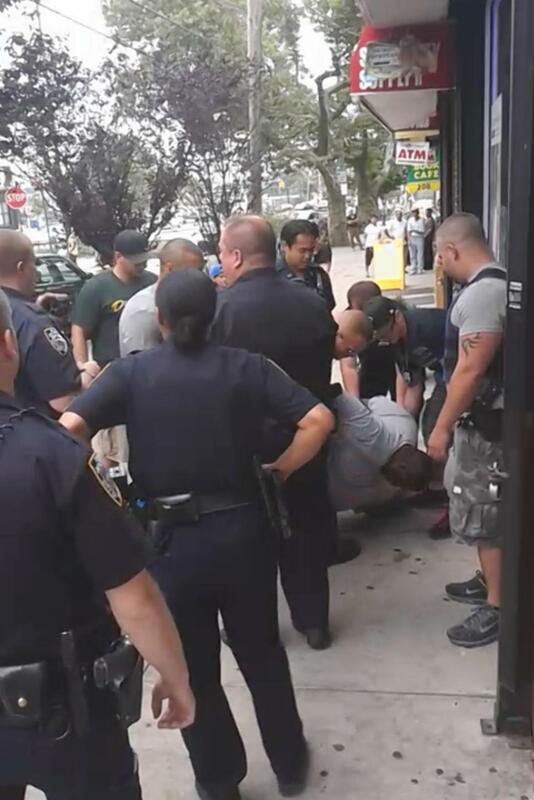 An officer behind Garner gets the 6 ft 3 man into a chokehold another group of officers then step in to assist with the arrest. 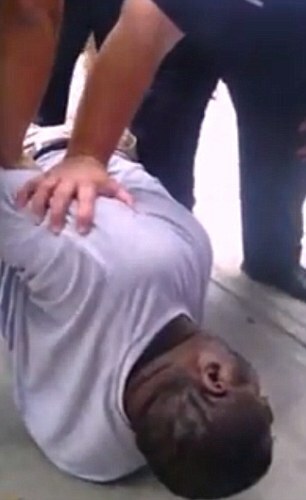 Garner can be hear repeatedly telling police that he cannot breathe. 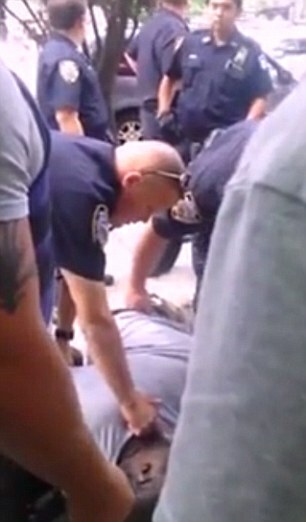 The video then shows an unconscious Garner on the floor as police try to clear people away from the scene. 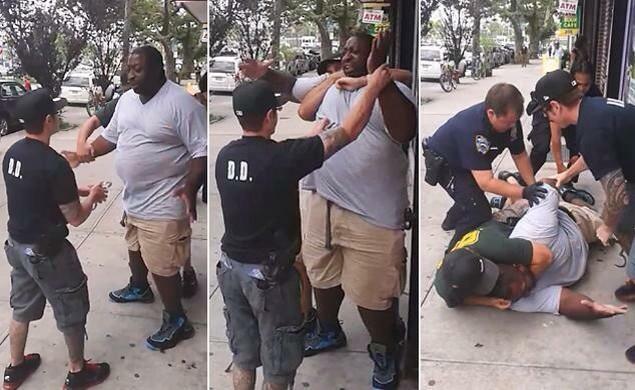 The video was reportedly recorded by Eric Garner's friend Ramsey Orta, who was a witness to the incident. "I felt like they treated him wrong even after the fact that they had him contained," Orta says.